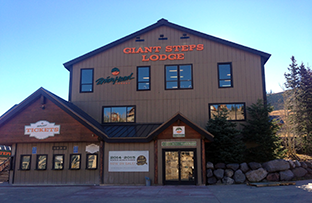 Dallas, TX, November 10, 2014 – The Locker Network, a subsidiary of Helix Leisure, announces a new installation of their electronic locker system at Brian Head Ski Resort in Brian Head, UT. The Resort selected the multi-entry Keyless Locker System to give guests the convenience of renting lockers once, then using them all day long as they come and go from each of the Resort’s two day lodges. Employing a revenue share model, the lockers were installed at no cost to Brian Head Resort, and The Locker Network will manage every aspect of the system including 24/7 customer support, ongoing maintenance, and remote security monitoring. The Locker Network’s lockers are located in both of the Resort’s lodges, Navajo and Giant Steps, where guests are encouraged to stow their items for safekeeping. Guests can rent lockers through a simple touch screen interface, and gain access to them via a PIN Code. Brian Head Resort, located in beautiful southern Utah, offers The Greatest Snow on Earth®, with a yearly average snowfall of over 360 inches, and Utah’s highest base elevation. Covering over 650 acres, the Resort has two connected mountains, Giant Steps and Navajo, with a total of 71 runs and 8 chairs lifts. This ski season, Brian Head Resort is celebrating 50 years of family fun!